The Month of February has become open for rental! Southwest Florida is home to the world's most beautiful beaches. This area is renowned for its wonderful fishing, boating, shelling, golf and outdoor recreation. Just minutes from downtown Naples, you can enjoy world class dining and shopping, as well as the world famous Naples Pier. 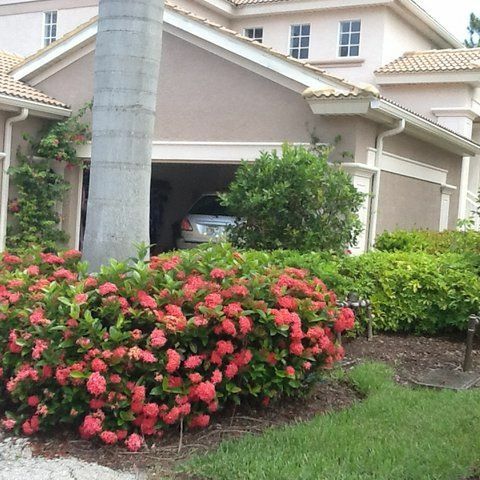 This Spanish-Mediterranean style, gated community, luxury coach home has 3 bedrooms + loft with sofa bed to sleep 8. Quality upgrades throughout include corian counter tops, spacious soaking tub and top of the line fixtures and appliances. With its great location, varied amenities golf membership available through at exclusive Spanish Wells Country Club, as well as access to fitness center, clubhouse, and pools. Barefoot Beach and public beaches are just 2.5 miles away, where you can enjoy breath taking views of the Gulf of Mexico. With over 500 feet of beach access - it's never too crowded!!! Luxury living at it's best! This perfect vacation destination sets the scene for a intimate getaway or loads of family fun!!! We had a WONDERFUL time, the rental was clean and felt like home the minute we walked in. The area was beautiful and the people were friendly. I would love to go back every March and maybe April. Thanks for sharing this little piece of paradise! My stay was unforgettable. It was one of the most relaxing, enjoyable, and pleasant vacations of my life. The grounds are beautifully kept and the apartment had all the accomodations that made us feel at home. I enjoyed the open space, the tasteful decoration, the cleanliness, and the wonderful balcony where we had our morning coffee and watched so many beautiful sunsets. I also liked the quaint shops, great eating areas, and the beaches close by. For me, it was a haven for the soul, and I hope to return soon. Discount available. please contact owner for any special pricing.